Clear Reflection Speaker is the modern descendant of a classic Cardas speaker cable: Golden Reference. Golden Reference reigned in high-end audio from 1998 until the introduction of Clear in 2010. It combined the warmth and euphoric midrange of its predecessor, Golden Cross, with greater high frequency extension, transparency, and holographic imaging. As with Golden Ref, Clear Reflection features three bundles of four 11.5 AWG Golden Ratio Scaled, Crossfield Litz Conductors. Only now those conductors conform to the design principles outlined in George Cardas’ US Patent 7,674,973 - the Matched Propagation Conductor. Matched Propagation conductors convey a sense of realism unprecedented in audio cables, solving problems of amplitude and time delay distortion that go back to the dawn of the telephone. With their development, came the design of the original Clear cables. The Clear line offered amazing clarity (hence the name), neutrality, transparency, wide & fast dynamic swings, and spectacular holographic imaging. Clear became the go-to reference cable for zero-compromise systems. However there are those who yearned for more of the classic Cardas sound, along with the added clarity & imaging made possible by Matched Propagation Conductors. And others who were running extremely high-end systems in less than ideal rooms, or with speakers with tweeters that glared a bit. For these two groups, we developed Clear Reflection. “The system in my home is deserving of its own perfectly designed & treated listening room. But we’re a family with an 8 year old in a house without a spare room to devote to audio. So the system resides in the living room, which is an odd shape, with lots of windows. I love how Clear and Clear Beyond perform in world class systems installed in world class rooms. But Clear Reflection just works in my house. We get the awesome performance of Clear, with the added warmth that helps make up for a room that would otherwise be a bit bright.” -Angela Cardas. 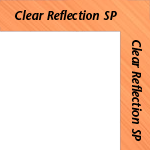 Reflection, as with Cyngus, Clear & Clear Beyond, receives connectors machined from pure billet copper, and plated with a flash of rhodium over thick silver. 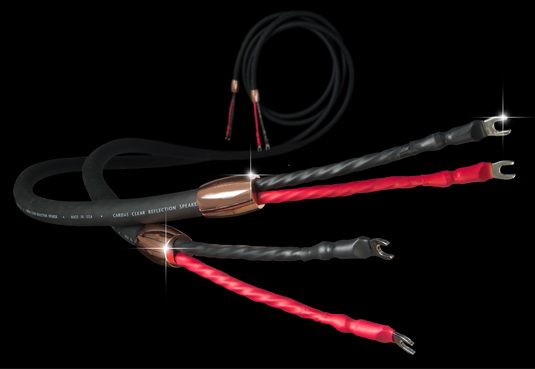 They are applied to the cable using a solder-less, two-stage, 10,000 PSI compression forging process that completely eliminates the transition from conductor to connector. In addition to providing a different take on the Matched Propagation speaker cable than the rest of the Clear line, Reflection’s black outer jacket and shiny copper plated machined brass strain relief give it a dramatic physical appearance that looks great in any room. .680" O.D., Cardas copper, PFA dielectric, 12 x 11.5 AWG crossfield conductors, Matched Propagation, Golden section, Crossfield, litz, Alcryn jacket. Forged billet copper connectors: 1/4" (6mm) and 9mm spades, bananas and Maggy pins are available as termination options. 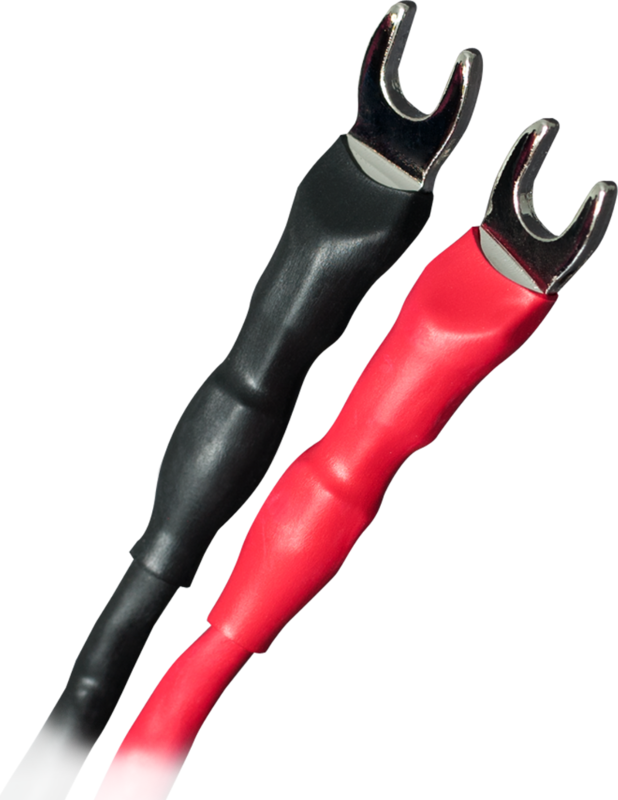 Clear Reflection Speaker Cables are terminated with a solder-less, two-stage compression die forging process. This video shows veteran Cardas terminator Gary Dawson terminating a Clear Speaker Cable.